So Becca was once a co-worker of Tully, and that makes her a friend of mine. Have we ever met? No. Does that matter in this day-and-age? Clearly not. (If you don't have "internet friends" you're really missing out.) Anyway, being the talented & creative person that she is, she has a really great blog, too. A recent browse revealed a series of "24 Hours In..." posters by artist Fernando Volken Togni. 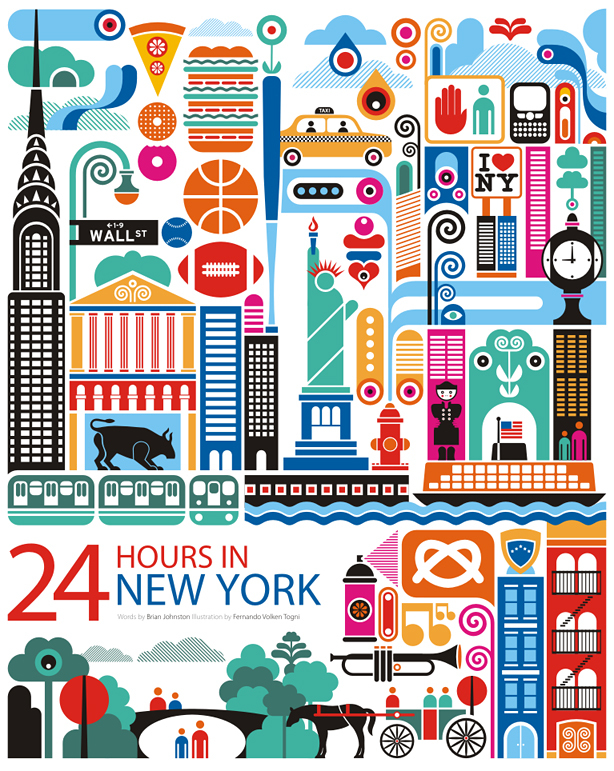 It's probably no surprise that my favorites were New York City and Paris. Check out his site (linked above) to see more of his colorful illustrations. Thanks for the shout out!! I read your blog everyday and feel like we are friends too! Keep up the great bloggin'!